Ever wondered why we use toothpaste? Toothpaste helps to clean our teeth of plaque and food debris without damaging our delicate enamel. Toothpaste contains fluoride which helps to protect enamel. Some also include ingredients to reduce plaque. Toothpaste is a huge part of preventive dental care and the fight against periodontal disease. Abrasives – helps to remove stains and plaque. Detergents – this is what makes the toothpaste foam. It helps to dislodge food debris. Humectants – gives the toothpaste texture and moisture. Thickeners – helps the toothpaste stay on your brush and squeeze out of the tube that way it does. Preservatives, Flavoring and Coloring: these give toothpaste the look, and taste it has. In addition to your normal preventive dental care routine at home, be sure to visit Tyngsboro Cosmetic Dentistry for dental cleanings and checkups. Call for an appointment today at 978-649-7773. Visit the website at www.tyngsborocosmeticdentist.com. Dr. James Yankowskas of Tyngsboro Cosmetic Dentistry is proud to offer CEREC, one visit dental restorations. CEREC allows Dr. Yankowskas to restore damaged teeth with a natural-colored ceramic dental restoration, all in one visit. 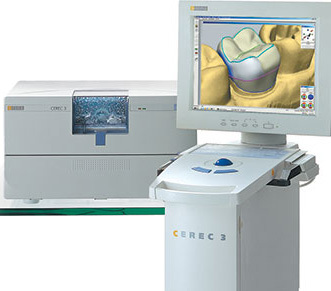 CEREC can be used for fillings, crowns, onlays and veneers! For more information on CEREC dental restorations and how you can benefit from them, call Tyngsboro Cosmetic Dentistry at 978-649-7773. Visit his website at www.tyngsborocosmeticdentist.com.